Natural Facial Toners can help make all the difference in the world in helping improve the appearance of your skin. A natural toner will remove any dirt or toxins left behind by your cleanser, restore it's ph balance, reduces the appearance of pores, and even out skin tone. The following natural toners are all economical, gentle and effective. Trilogy Hydrating Mist Toner Trilogy's Rosehip based products are among the best in natural anti aging products, but anyone with any skin type can benefit from these products. This mist toner instantly hydrates skin and gives it a refreshing pick me up. It is made from distilled water and extracts of Rose, Rose Geranium, and Lavender and is 100% vegetarian. All products and packaging are biodegradable and contain no Parabens, Petrochemicals, PEG's, Pesticides, Synthetic Fragrances and Colors. 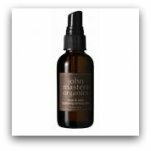 John Masters Rose & Aloe Hydrating Toning Mist John Masters is well known around the world and all of his products are made with fair trade and organic ingredients. This rose and aloe toner is suitable for all skin types and is full of nutrition for your skin. Rose oil stimulates blood circulation, oat kernal improves your skin's defences and white tea is full of antioxidants. This mist reduces the appearance of pores, nourishes, protects, reduces inflammation and is an excellent addition to any skin care routine. Ole Henriksen Pick Me Up Face Tonic This is one of my favorite facial toners. It is packed full of nutrients, strengthens your skin and smells really, really good! 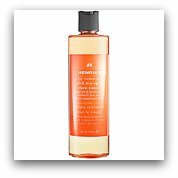 Ole Henriksen Pick Me Up Face Tonic is extremely gentle, refreshing your skin and never drying it. It contains Vitamin C which heals and strengthen collagen, Algae Extract which provides your skin with vitamins and minerals, Peach Extract which exfoliates and Blueberry and Blackberry Extracts. It brightens the appearance of your skin, evens tone and diminishes the look of pores. These products contain no Parabens, Sulfates, Synthetic Dyes and Fragrances, Petrochemicals, Phthalates, GMO's and Triclosan. Suki Concentrated Balancing Toner If you have problemed skin this natural toner is for you. It contains White Willow, Chamomile and Lavender and is 100% Natural and Vegan. 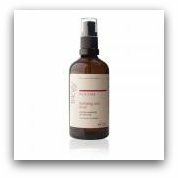 This toner reduces inflammation, calms and heals skin making it ideal for acne, rosacea, eczema, oily skin and redness. Trying adding one of these natural facial toners to your skin care routine and have the best skin possible!